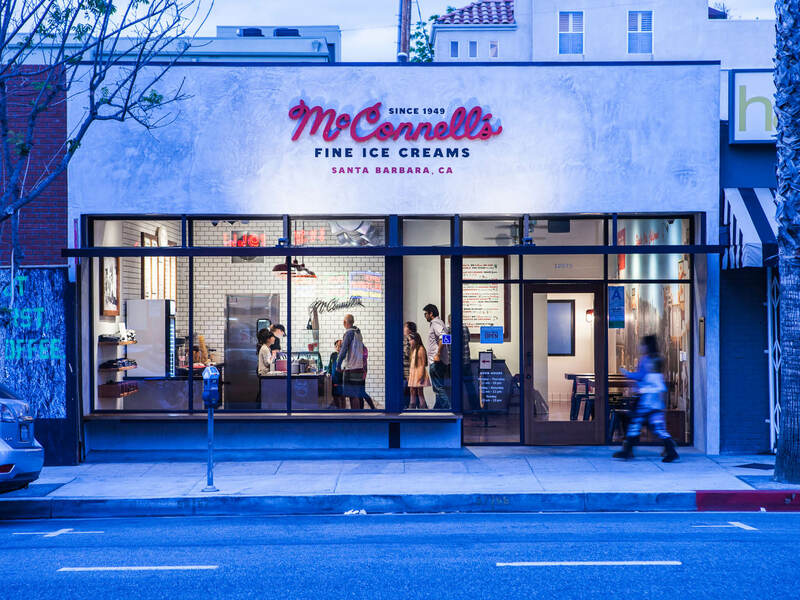 Located in a quaint neighborhood north of Ventura Boulevard in Studio City, McConnell’s Fine Ice creams was designed to become a community anchor as a farmers market fills the area weekly. Formerly, the space was a tailor and hair salon. 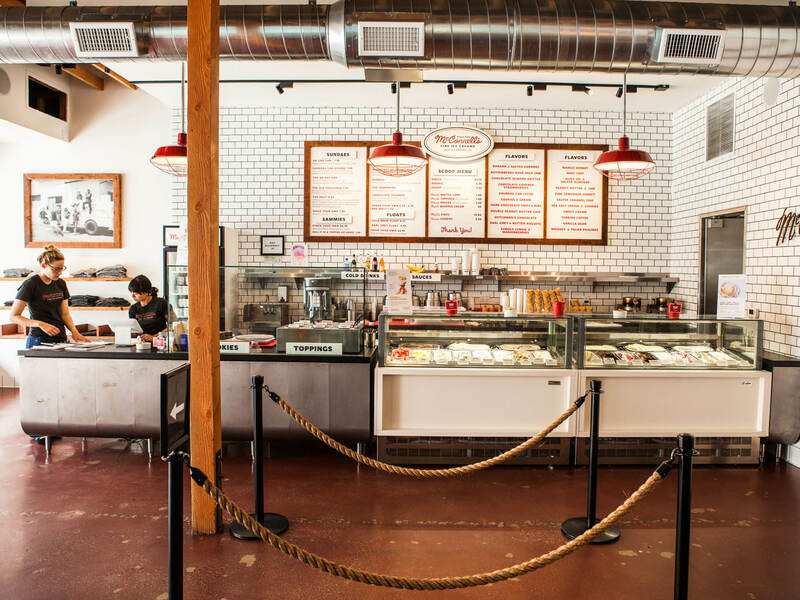 Outside the shop, a 17-foot wooden bench was installed for students nearby, and the farmers market crowd to linger and enjoy. 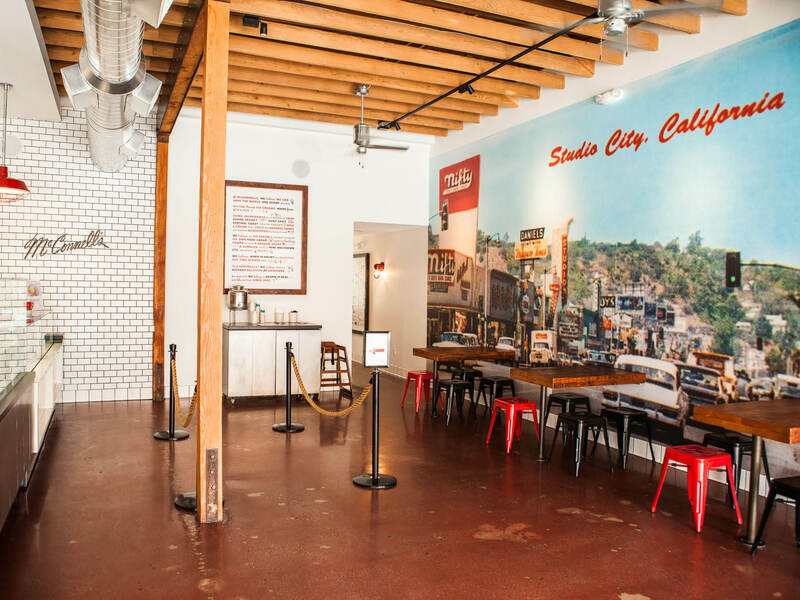 White tile, wooden shelves, wooden beams and an entire wall is papered with a 1962 postcard of Studio City, a nod and throwback to the tight-knit community. 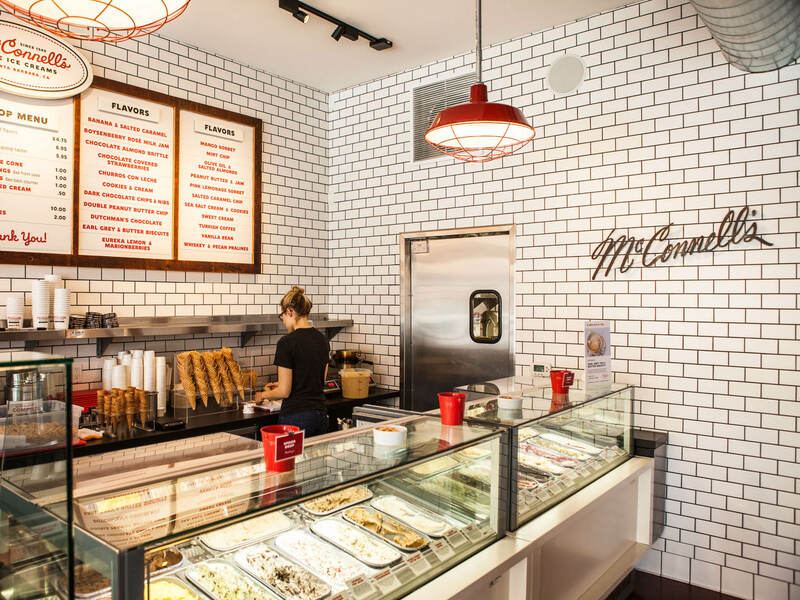 Darkened steel and raw concrete floors help the space feel warm and inviting.